Talking about lipstick, foundations, highlighters…easy. Talking about me, well that is hard, especially when it comes to mental health, but as it is mental health awareness week I figured now was a good a time as any to talk about my own mental health. Firstly I’m going to say I can’t share everything. I find that unbelievably uncomfortable, as time goes on maybe I’ll feel more comfortable opening up more but for now I’ll share what I can. So today I’m going to be talking about my anxiety. My anxiety isn’t my only issue if I’m being honest but the one I feel comfortable talking about. One day around 4 years ago I had a thought that a good friend didn’t really like me and from then anxiety reared it’s nasty little head into my life. Many people, including my friends and family have no idea I’m suffering with anxiety. I read a post the other day about “high-functioning anxiety” which is good description of what I’m dealing with. My anxiety is more related to people than circumstances, although I do feel a little anxiety when going to new places, the physical aspect of it triggers when I think about people I care about not feeling the same way back. Small and silly I know but this is the way my brain has wired itself. This could have stemmed from relationships I had with others earlier in my life (I wasn’t and I am still not very good at the friendship thing) but I now deal with anxiety daily and I have been for 4 years now. Imagine the feeling of nervousness or dread you may feel if you had to get up and speak before 1000 people thinking of the absolute worst thing that can happen – that’s pretty much what anxiety is like. The NHS refers it to it as a “general feeling of unease” I think this is more of an understatement but anxiety does affect everyone differently. Some attacks, for me, can be earth shattering. I wont be able to breathe, my heart will beat so hard that I swear I can feel it beating down the walls of my chest, my entire body will shake and my hands and feet will go ice cold. I’ll be unable to eat anything for the day. I’ll cry and my mind will race constantly with bad thoughts. The after effect will then last for a few days leaving me exhausted. It is horrible, draining, debilitating and it makes me feel incredibly weak, not only physically but as a person. 4 years of this has really got to me physically, emotionally and mentally, so I NEED to do something about it. There is a lot of advice floating around and I think now I’m in the right mindset to start incorporating a few of these little remedies/tips and tricks into my everyday life to help me function a bit better. I think the thing to remember (and one thing I have to remind myself of) is – this is something you need to work on CONSTANTLY. Anxiety doesn’t just disappear overnight. There is no quick and easy fix. It takes a lot of conscious effort to change any way of thinking but I wanted to share a few things that I have and want to introduce to help manage my anxiety in my day to day life. Probably the hardest part of anxiety especially if you’re used to hearing negative thoughts. In short, be nice to yourself. No, you’re not terrible, you’re not ugly, you’re not worthless. You are loved, special, stupidly stunning and you need to say it more often to yourself, even if you don’t believe it at first. I find myself so used to my negative thoughts that they have become second nature to me, I view the “online” me as a different me, a “dress up” me if you will, like two different people, so when the makeup and the weave and the clothes come off – I’m not very nice to myself. This way of thinking is so draining and so far from the truth it’s incredible, but when anxiety hits you believe this to be factual information when in truth, you have nothing really tangible to prove any of these poisonous thoughts. You have friends who love you, enjoy you, celebrate you, you’re definitely NOT ugly and people very rarely hate people, most of the times if someone is acting off they’re either unaware, tired or it’s just a simple case of miscommunication. If you can, talk to them, sometimes a simple chat can make all the difference and can leave you feeling more secure with your relationship and yourself. Challenge that inner negativity with something nice. I’ve also read about introducing daily affirmations into your life, a positive statement about yourself that you say out loud, often repeating them several times. Such a simple thing but it can be very powerful. I’m planning on printing out a few of these and working them into my daily routine. I used to be a book worm in my younger years, now, not so much but when my anxiety really got to a bad place I went looking for some self help books. This book actually made me cry but not in a bad way! In the book Robert talks in a way that doesn’t make you feel bad about your anxiety, he uses words and analogies I can understand and offers some great tips for breathing and for the onset of anxiety which have really helped me. He even gives you a great letter to give to others (e.g close family) who may not understand what you are going through. I found this book sooo helpful! Reading will not cure your anxiety, I believe only constant hard work from yourself can do that but self help books can offer tips/tricks to help with the onset and/or coping of an attack. Another factor of anxiety which can one of the hardest things to do if you but it can really help. My loved ones are incredible, I mean I am so lucky to have a place to go when I want to be around some of the people I love the most. A lot of them are used to me going AWOL or flaking out on them which I think, in a funny way, helps a lot as they don’t really get mad at me when I dissappear or cancel last minute, so when I see them I can just forget about my anxiety for a bit and it is FANTASTIC! The problem is…finding the strength to go. You really need to give yourself that PUSH to go regardless of what you think may happen. In the past few years I’ve learnt a lot of people like company! Ha! I always have a friend who is ready for me to visit, it still a bit weird to me that people like other people’s company that much but I think I may just be wired wrong. Whether it’s a spot of shopping, coffee, taking pictures for a friends blog, chilling at someone’s house, it’s time spent without your anxiety which can be a temporary weight lifted. This is one step that I’ve only recently discovered and accepted. I beat myself up A LOT for not being the happy, confident, self assured woman I was 4 years ago before my anxiety came along. I wanted to be her again so badly but the constant thought of not being that person really didn’t help, it made me feel worse. So I had to accept that I was not going to be that person again. When you are dealing with a mental health issue – it changes you in a big way. There is no way I can go back to being the same person I was before but that’s not bad. I’ll just be a new and improved person. You are not going to see things or feel things the same way as you did before. You can only work on yourself, to be a better you with a little bit more knowledge about how you work and think. For me, I can say and accept that I won’t be the old Natalie, but I’m working on being an improved version of her now. The fact that mental health is being talked about a little bit more has been a bit freeing. In the beginning I had no one to talk to and I figured that there was just something very wrong and abnormal with me, but lately I’ve realised anxeity and even other mental health issues (I hate that word but can’t think of another for now) are more common than I thought. The first person I told before I even knew that I was having an attack was my mum. Whenever I have an attack I tend to tell her, there’s not much she can do to stop if (nothing in fact) but it helps to know that she is there and she knows and that I am not alone. I’ve even seen some people I follow on social media going through some of the same things I go through and whilst I wouldn’t wish any of this on anyone, it once again helps to know I’m not alone. Knowing that I am not alone has helped me to talk about my issues a little bit more which has also allowed me to ask for help. Last year my mental health got pretty bad and I got tired, I was drained, so drained I had to ask for help. I talked to my doctor who referred me. It didn’t go well the first time if I’m being honest, but I took time out and told my doctor and she referred me again. This time it went much better. I met with a few professionals, who were happy to listen, converse with me and offer some ideas which made me more self aware of some of my issues and the way I think. I’m now currently on a waiting list for CBT (Cognitive Behavioural Therapy) which is just a sort of therapy that helps to change the way you think. I’m happy that I spoke up and I’m happy that I’ll be getting help. From the outside it’s a small step but if you do ask for help know that you took a HUGE step to even share what you’re going through, let alone ask for help and you should be sooo proud of yourself. It it mostly a lie and so easy to be manipulated and it can paint the world in a different light one which is unattainable and usually false. I am now trying to limit the amount of time I spend on social media which is hard as a blogger but is something I need to do. I don’t have a Twitter app on my phone (I mostly tweet from web), I’m trying to limit my time on Instagram and Snapchat kills my phone anyway so I’m rarely on it. I don’t follow any celebs or people who I cannot relate to. I tend to follow inspirational women, bloggers, friends, family, makeup lovers (not too many because you lot make me spend my monies) and artists. If I find myself feeling bad because of my feed I will unfollow. If you do like social media follow people who spread good vibes and content, or things you love to look at. My Instagram is for blog only and very rarely for my personal life. I love my Instagram and the amount of engagement I get but I can’t be living my life on social media. I heard this term used the other day and I digged it, lol! YOUR MENTAL HEALTH IS IMPORTANT. If you need it, take a day for yourself. If you need to take a sick day – take it. If you need time alone – take it. If you need rest – take it. if you need to take an emergence day off normally a tummy bug is a good excuse to use as they come and go quite quickly and nobody tends to want to ask about what happened, lol! If your work is understanding you can tell them the real reason if you feel comfortable. I normally tend to take a few days every couple of months (within my annual leave) to just switch off or what can be just as good sometimes is weekend of just doing nothing (although I wouldn’t recommend this too much as you can get stuck with your negative thoughts very easily) to just chill. I’m planning on discovering London – Regents Park is lovely in the summer or even the Science Museum, (it’s free and I haven’t been in ages) just having day to myself and having fun. Just do something ashamedly for yourself that you would like. It can help a lot. Leading on from take some time off is the concept of working on yourself. When you have a mental health issue (is there a non negativity way of talking about mental health issues – honest question, please let me know) it can be DRAINING to do the most basic things such as having a shower, cleaning your room or even just looking after yourself. This is where you really need to pull out some serious energy from somewhere and make a pact to look after yourself. Just brushing your teeth after a week in bed is working on yourself, nothing is too small. Every step is a HUGE step. For me, my step is going to the gym. I’ve NEVER been a gym person, EVER but I want to work on that. I want to start looking after myself physically. I’m tired of just being bleh – you know. I want to set myself a challenge to be the best me I can be out of this and one step for me is going to the gym. Another step is getting out of the house more. I now have a part time job on a Saturday which gets me out of the house which is a big deal for me – another step I’ve been working on. Anything to take you a little out of your comfort zone, if you can do it – do it. Don’t pressure yourself but definitely give yourself a little push. Anxiety doesn’t have to and shouldn’t ruin every aspect of your life. Try not to let it put a hold on your life. This is one that may not apply to all, but for me it’s a big part of trying to work through this and trying to get better. Prayer allows me to take my mind off my anxiety and direct this to God. In that moment I feel peace. My anxiety has, in a weird and roundabout way, brought me closer to God. I hear him talking to me a lot nowadays and building this relationship has brought me so much comfort, especially in these last few days. I have a long way to go in my faith, a long way, but having God in my life helps me to not want to control my life as much and helps me to have faith. If you’re not spiritual or religious that’s OK.
Just know that you have a purpose and not letting anxiety or any other negative aspect of mental health run your entire life may just be a starting point for your purpose. You may not be able to see it now but maybe in future you’ll be able to see with the power of hindsight how anxiety (or what you’re experiencing) may have helped you in some way once you’ve learnt to manage it a little bit. And I guess those are my steps for now. Phew, bit of an emotional long one for me if I’m being honest. I tend to type from my mind, so I type how I speak, a little disjointed but I hope the message can be found. 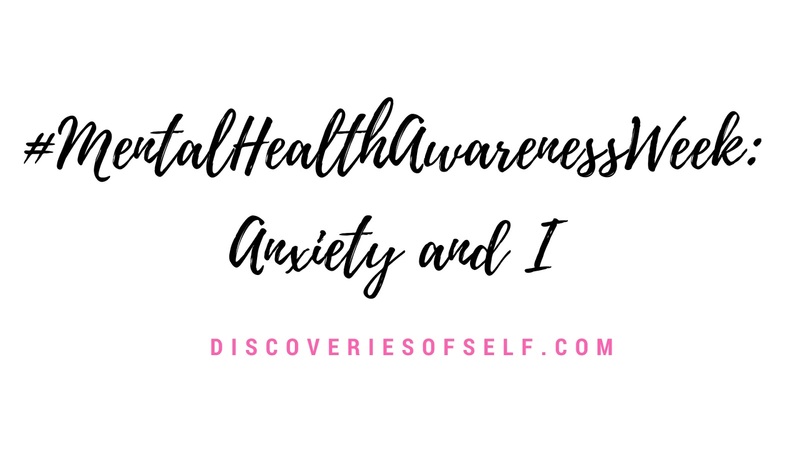 I just wanted to share a little bit about my mental health journey just in case it can help or I can get to know a few more helpful tips and tricks with managing anxiety. If you are going through something right now, just know that you are not alone, you are loved, you are unique and you are needed. I love it. Very honest and true… there is noone out there who cannot say they havent suffered with anxiety. This actually reminds me of 3 otber friends of mine who suffer from severe anxiety and like yourself hide it very well. Well done for not hiding it but looking at it face on. I love you Natalie, i hope you know that. You are very special. Well done for writing this post – sure it will have helped so many people. I know what you mean about the term "mental health" imho it should just be part of health. When you break your leg and have to go to hospital or do physio, there's no stigma and the same should apply to our mental wellbeing. Keep doing what you're doing lovely. I know exactly what you mean. I feel the same way and tend to flake on a lot of people and when I do go out I think I just put on a persona rather than tackling it head on. Whether that's good or bad, I don't even know. They say the trick is to get out of your comfort zone. Any tips that you have to share would be fantastic!